WordPress µ 2.8.1 (a.k.a. WPµ, WordPress MU… Platform for multi-user blogs and Content Management System). 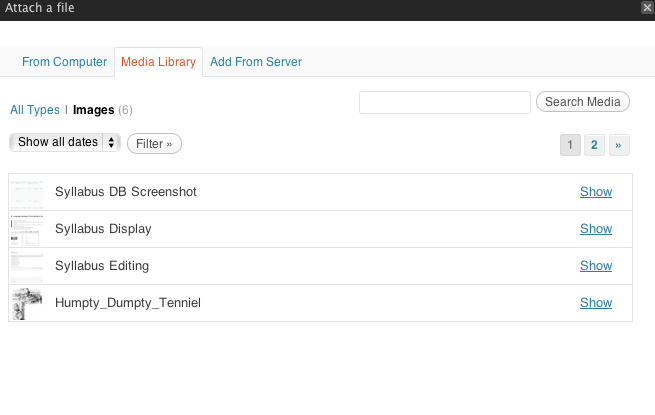 BuddyPress 1.0.2 (A social network system based on WordPress µ). bbPress 1.0.1 (A forum system based on WordPress). Did this after attending WordCamp Montreal. The fact that the large majority of WordPress and WordPress µ are merging motivated me, in part, to try it out. I currently serve as webguru for the Society for Linguistic Anthropology. This is all on a local machine, a Mac mini running Mac OS X 10.5 Leopard. It took me several attempts so it might not be as obvious as one would think. I wrote as detailed a walkthrough as I could. Not exactly for the faint of heart. And, as IANAC, some things aren’t completely clear to me. I wish I could say I’m able to troubleshoot other people’s problems with these systems, but it’s really not the case. I ended up working out diverse issues, but it took me time and concentration. Andy Peatling’s tutorial on BuddyPress (and WordPress µ) on a Mac. Trent Adams’s tutorial on BuddyPress/bbPress integration. This file: <WPinstall>/wp-content/plugins/buddypress/bp-forums/installation-readme.txt (also available here). I’ve used many other resources, but they turned out to be confusing, partly because of changes in versions. In fact, the last file was the most useful one. It’s a very different method from the other ones, but it worked. It’s actually much simpler than the other methods and it still gave me what I needed. I now have a working installation of a complete platform which integrates blogging, social networking, and forums. In a way, it’s like having simple versions of Drupal and Ning in the same install. Perfect for tests. Brackets serve to refer to installation-specific items. I could have used variables. <username> is the abbreviated username on the local machine. ~<username> would be the user’s home directory. Determined in Mac OS X. Switched to a user with administrative rights on my Mac. I usually work with a non-admin user and grant admin privileges when needed. Quite cumbersome in this case. Clicked on XML-RPC Enable the bbPress XML-RPC publishing protocol. I ended up with a nice testing platform. All plugins I’ve tried so far work quite well, are extremely easy to install, and give me ideas about the SLA’s site. It was an involved process and I wouldn’t recommend it to anyone who’s afraid of fiddling with a bit of code. But I did try it out and it seems fairly robust as a method. I could almost create a script for this but that’d mean I might receive support requests that I just can’t handle. I could also make a screencast but that’d require software I don’t have (like Snapz Pro). Besides, I think copy paste is easier, if you remember to change the appropriate items. Obviously, anyone who wants to use this procedure as-is should replace all the bracketed items with the appropriate ones for your install. Some are generated during the process, others you can choose (such as the name of the database). I’m not extremely clear on how secure this install is. But I’m only running it when I need to. You can ask me questions in the comments but I really can’t guarantee that I’ll have an answer. In a blogpost, Learning Systems ’08 host Elliott Masie lists 12 features learning management systems could/should have. While Masie’s focus is on training and learning in corporate situations, many of these ideas are discussed in other types of learning contexts, including higher education. Some of the most cynical of university professors might say that the reason this list could apply to both corporate and university environments is that university are currently being managed like businesses. Yet, there are ways to adapt to some of the current “customer-based” approaches to learning while remain critical of their effects. Personally, I think that the sixth point (about “social knowledge”) is particularly current. Not only are “social” dimensions of technology past the buzzword phase but discussing ways to make learning technology more compatible with social life is an efficient way to bring together many issues relating to technology and learning in general. Learning Systems will need to include and be integrated with Social Networking Systems. Some of the best and most important knowledge will be shared person-to-person in an organization. The learner wants to know, “Who in this organization has any experience that could help me as a learner/worker?” In addition to the LMS pointing to a module or course, we need to be able to link to a colleague who may have the perfect, relevant experience based on their work from 2 jobs ago. The social dimension of learning needs to be harvested and accelerated by a new vision of our Learning Systems. Another crazy idea: groups working a bit like social networking sites (e.g. Facebook). You get “friends” with whom you can share “stuff” (images, comments, chats, etc.). Those groups can go beyond the limits of a single course so that you would use it as a way to communicate with people at school. The group could even have a public persona beyond the school and publish some information about itself and its projects. 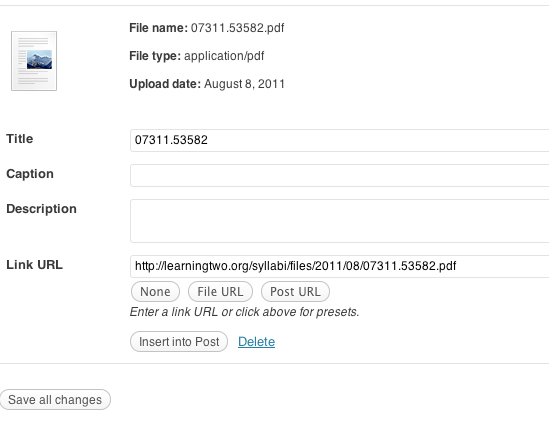 Moodle could then serve as a website-creator for students. To make it wackier, students could even maintain some of these contacts after they leave the school. 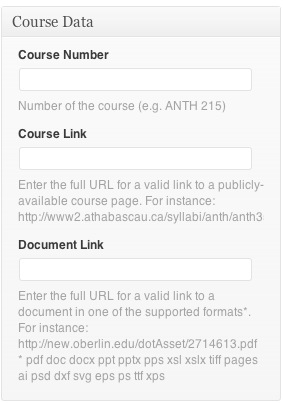 Or Moodle could somehow have links to Facebook profiles. My curiosity was later piqued by fellow anthropologist Michael Wesch’s comments about the use of Facebook in university learning and teaching. And the relevance of social networking systems for learning strategies has been acknowledged in diverse contexts through the rest of 2007. One thing I like about Masie’s description is the explicit connection made between social networking and continuity. It’s easy to think of social networks as dynamic, fluid, and “in the now.” Yet, one of their useful dimensions is that they allow for a special type of direct transmission which is different from the typical “content”-based system popular in literacy-focused contexts. Not only do large social networking systems allow for old friends to find another but social networks (including the Internet itself) typically emphasize two-way communication as a basis for knowledge transmission. In other words, instead of simply reading a text about a specific item one wants to learn, one can discuss this item with someone who has more experience with that item. You don’t read an instruction manual, you “call up” the person who knows how to do it. Nothing new about this emphasis on two-way transmission (similar to “collaborative learning”). “Social” technology merely helps people realize the significance of this emphasis. I’m somewhat ambivalent as to the importance of ratings (Masie’s third point). I like the Digg/Slashdot model as much as the next wannabe geek but I typically find ratings systems to be less conducive to critical thinking and “polyphony” (as multiplicity of viewpoints) than more “organic” ways to deal with content. Of course, I could see how it would make sense to have ratings systems in a corporate environment and ratings could obviously be used as peer-assessment for collaborative learning. I just feel that too much emphasis on ratings may detract us from the actual learning process, especially in environments which already make evaluation their central focus (including many university programs). Overall, Masie’s wishlist makes for a fine conversation piece.